This photo was taken when we were in Uganda, working on the segment in our film about Wrap Up Africa. This tailor is sewing to be able to pay for her child’s cancer treatments. Founder Letha Sandison established Wrap Up Africa to help aid cancer patients and their families in Uganda. She has also created jobs for artists who design and make buckles and buttons for these garments that reach markets all around the world. In essence she has created a foundation that can sustain itself. 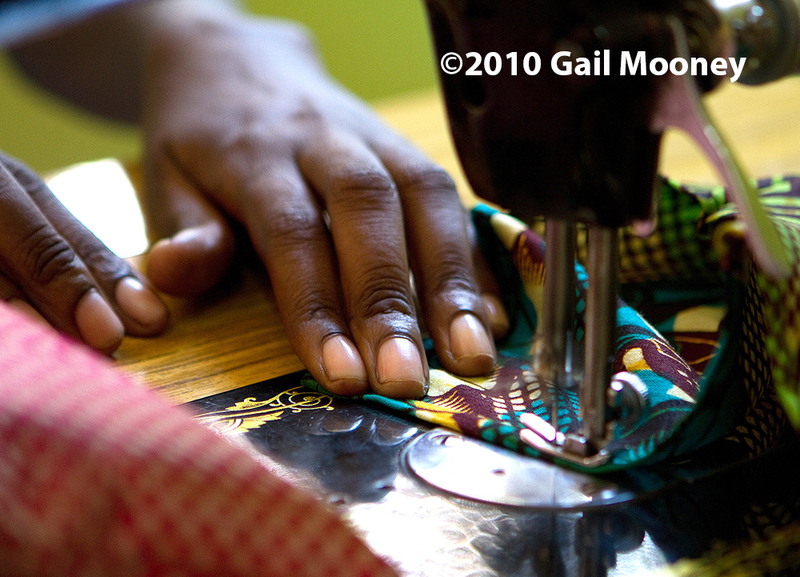 This entry was posted in People Making a Difference, Photography, Travel, Women and tagged Gail Mooney, hands, http://www.womenslinkedlocalnetwork, Letha Sandison, sewing, tailor, Uganda, Wrap Up Africa. Bookmark the permalink.